CREPAS Watches have released their third model! The small Spanish dive watch company based in Malaga have a loyal almost cult like following of dive watch devotees, who wait patiently for a single annual release. Each year their patience is rewarded with something special, this year is no different! 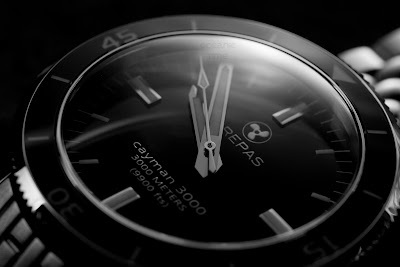 A continuation of the brand’s successful formula that blends vintage styling with the latest in divers watch technologies, the new CREPAS cayman 3000 is born. 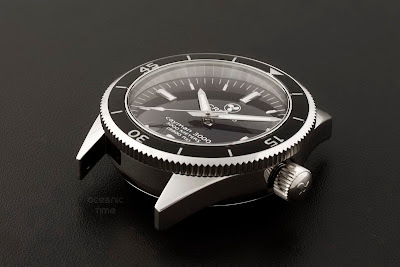 A watch that takes inspiration from the 1970s Ollech & Wajs Caribbean 1000, which if I am not grossly mistaken was one of if not the first 1000m water-resistant dive watches. Its name, ‘Cayman’ pays tribute to this historic watch and has been taken from the Cayman Islands of the Caribbean. 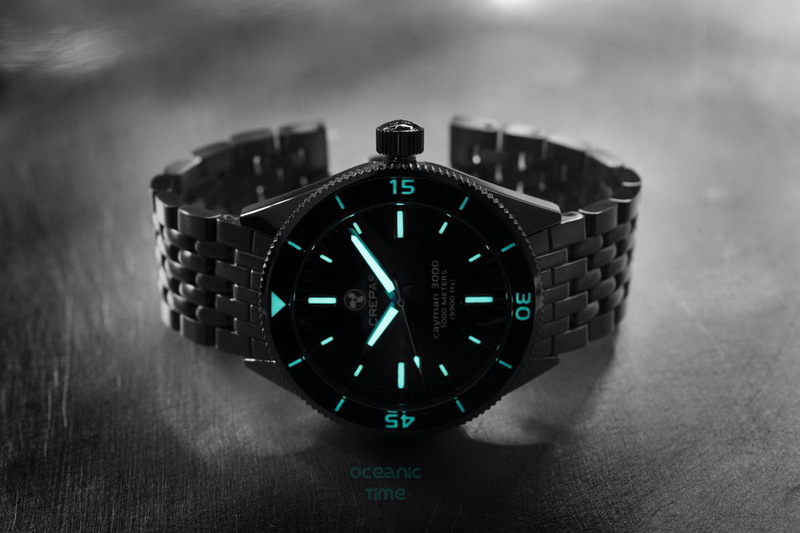 With triple the water-resistance the O’ & W’ Caribbean 1000, the cayman 3000 is now a member of an elite category of watches known as extreme divers. However it has achieved its incredible 3000m depth-rating without having to compromise any of its sleekness or elegance. Whilst it is probably the deepest dress diver there is, it is possibly the most elegant extreme diver I have seen, too! The watch case measure 43mm x 16.90mm and is constructed from surgical 316L Stainless steel, which has a polished finish. 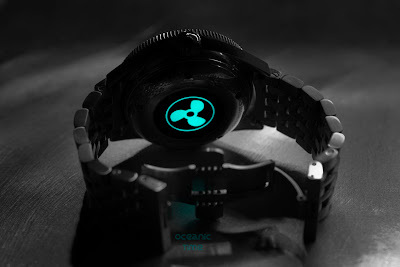 It is fitted with a screwdown crown and domed caseback both of which are signed with the Crepas ship’s propeller logo. The caseback’s propeller has a very unique feature; it has been applied with BG W9 SuperLuminova, which allows it to glow blue in the dark! How cool is that?! Of the many wonderful features peculiar to the cayman 3000 is: a Swiss ETAsa 2824 TOP grade automatic movement, a 120 click-type unidirectional rotational divers bezel with an inclined Sapphire crystal inlay and coin-edging, a highly domed scratch-resistant Sapphire crystal with AR coating on in its inside, an automatic helium escape valve and specially designed rice-bead link bracelet, a design that although has become synonymous with Doxa's divers was in fact used for the original Caribbean 1000 watches. 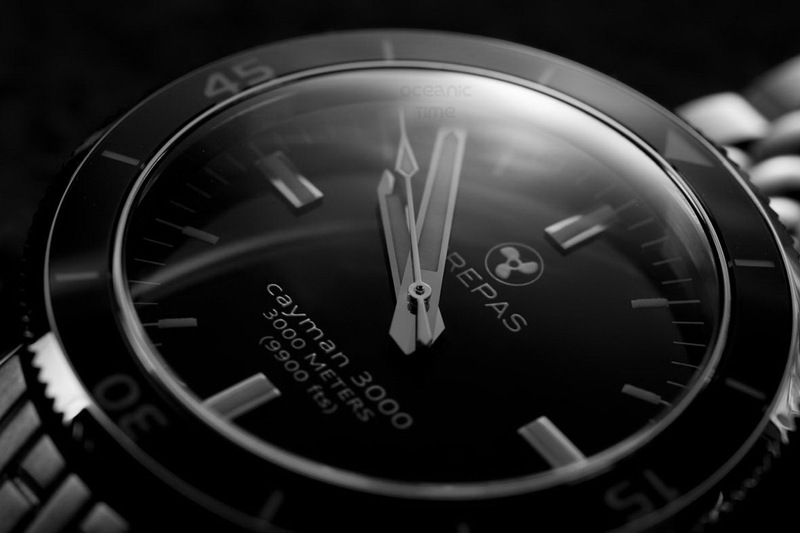 Limited to just 299 examples, the cayman 3000 is another huge triumph for CREPAS Watches and in my opinion is their greatest model to date. 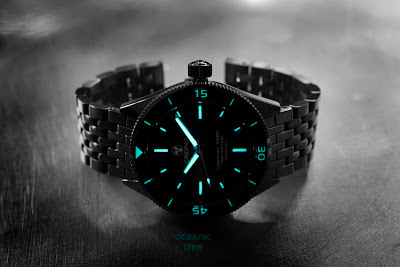 I am sure that it will appeal equally to vintage and extreme dive watch enthusiasts. See below for full specifications and details on pricing or follow the CREPAS propeller to be taken directly to their website . . .
- Case, bezel, crown and case cover made of surgical stainless steel 316L with polished finished. - Crystal, bezel inlay and case back cover inlay made of sapphire. - Gaskets made of Viton and Tefzel. - Dial with ceramic cover with metal squares. - Stainless Steel “bead of rice” bracelet with two interchangeable clasps. 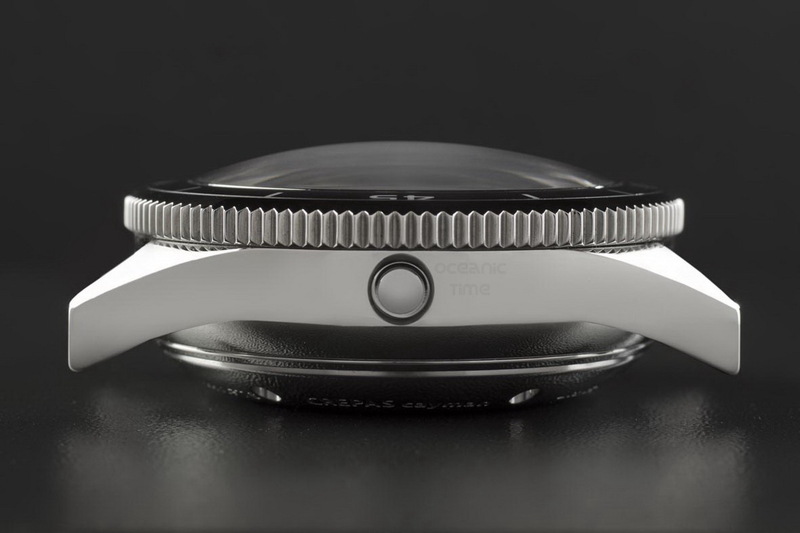 - Hands, dial, bezel and case back cover with SuperLuminova BG W9. - Swiss ETASA 2824 TOP grade. - Water resistant 300 atmos. / 3000 meters/ 9900 ft. Screwed crown and case back cover. - Inside AR coated anti scratch crystal with domed shape. - 120 positions bezel. Inclined inlay sapphire bezel. - Automatic helium valve at 9 position.